A key House panel is slated to consider on Wednesday a new packet of 340B legislation that would go further than previous measures to overhaul the controversial drug discount program. The bills on the docket include a long-negotiated measure by Rep. Chris Collins (R-N.Y.), who has led the House effort to curb the 340B program. Known shorthand as "patient definition," the proposal would designate in statute the patients who should qualify for the drug discount received by hospitals and clinics covered under 340B. Rural, critical access hospitals and grantees would be exempted from the measure, which applies to disproportionate share hospitals (DSH), freestanding cancer hospitals and children's hospitals. A separate measure by Rep. Larry Buchson (R-Ind.) would require hospitals and other clinics covered by the program to report their estimated savings, third-party revenue, payer mix and uncompensated-care costs. Other bills would beef up auditing requirements for the program and add user fees. 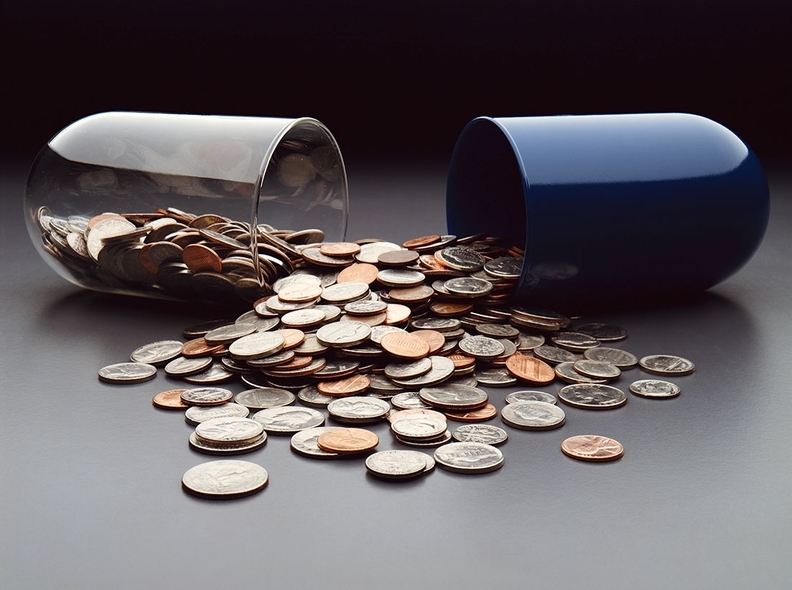 House Energy and Commerce health subcommittee Chair Rep. Michael Burgess (R-Texas) has introduced a potential mandate for some 340B hospitals to pass on all their savings from the discounts to their low-income patients. Still another measure would give HHS Secretary Alex Azar, who has promised further administrative changes to the program as part of the administration's strategy to try to lower drug prices, greater authority to shape 340B by moving jurisdiction from the Health Resources and Services Administration to the HHS secretary. With midterm elections looming, it isn't clear whether the Senate or even House leadership will move a package like this in the face of fierce hospital opposition—although one GOP aide close to committee talks said lawmakers behind the bills want to pass it to the House floor. One hospital lobbyist described the hearing's aim as "getting hospitals to the table by serving them on the menu." One potential sweetener for hospitals is a measure introduced in June by Rep. Doris Matsui (D-Calif.) that would define how drugmakers should calculate the ceiling price for the drugs in the discount and compel HHS to share the 340B ceiling prices with providers—which the department has consistently delayed. Matsui's proposal would also halt the Trump administration rule in effect since Jan. 1 that slashed Medicare Part B reimbursements for 340B hospitals by$1.6 billion annually and clarify the program's intent. Its goal in statute is "to stretch scarce federal resources as far as possible, reaching more eligible patients and providing more comprehensive services." Matsui's is not the only bill to address the Part B cuts, which are at the center of a major hospital lawsuit now being considered in a federal appellate court. Rep. David McKinley (R-W.Va.), who has been negotiating with his leadership to stop those cuts since HHS issued the proposed rule, has introduced a bill to effect the reversal. He told Modern Healthcare earlier this year that he was willing to concede program oversight measures in exchange. Another bipartisan measure would expand drug classes eligible for the 340B discount. Reps. Peter Welch (D-Vt.) and Gregg Harper (R-Miss.) would let rural and cancer hospitals buy orphan drugs at the discount even if they are used for non-orphan diseases or conditions. But ultimately 340B hospitals are pushing back intensely against the regulatory measures, which they have lobbied against for months in a behind-closed-doors battle with drugmakers. The 340B program came under scrutiny again last month when the Government Accountability Office released a report that took aim at contract pharmacies' growing profits from the program. In its report, the GAO found that Health Resources and Services Administration audits don't fully uncover duplicate 340B and Medicaid discounts, which are banned by law. The noncompliance issue has emerged in several states, particularly those that expanded Medicaid, and Oregon and Ohio have banned contract pharmacies from collecting both discounts. The report also criticized HRSA for its auditing methods, which, the GAO said, aren't robust enough to reveal the full extent of noncompliance within the program, and recommended that HRSA assume stronger regulatory authority. According to analysis by consultant Adam Fein, contract pharmacies participating in the 340B program have grown from about 3,000 sites in 2010 to nearly 20,000 in 2017. As of July of last year, the nearly 6,100 340B-covered entities contracted with more than 52,600 pharmacies in a market where discounted sales account for more than $16 billion each year. House Energy and Commerce Committee Republicans with the backing of drugmakers have been eyeing the chance to reform the 340B program since conducting a series of oversight hearings last fall. Originally, the committee majority wanted to launch the hearings in March, but 340B took a back seat to the panel's work on opioids.